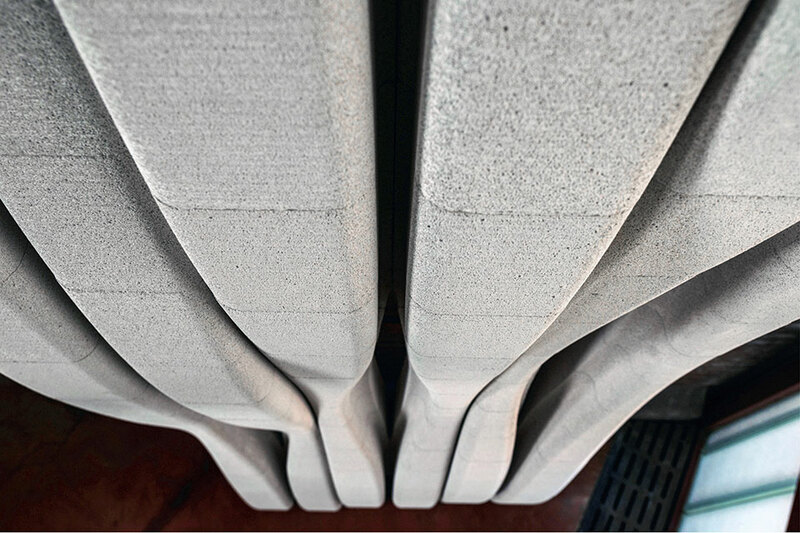 This ongoing research with Autoclaved Aerated Concrete (AAC) was introduced into an advanced studio at Pratt Institute School of Architecture, where innovative post-tensioned block screen wall systems were developed to weave a type of mechanical fabric. Students designed assemblies up to four stories tall as an over-cladding strategy for a generic office building using varying unit shapes to be fabricated by a 6-axis robotic milling process. Proposals were modeled using a tight set of parameters such as block size, reinforcing requirements, span limits, percentage of porosity and joining logics. 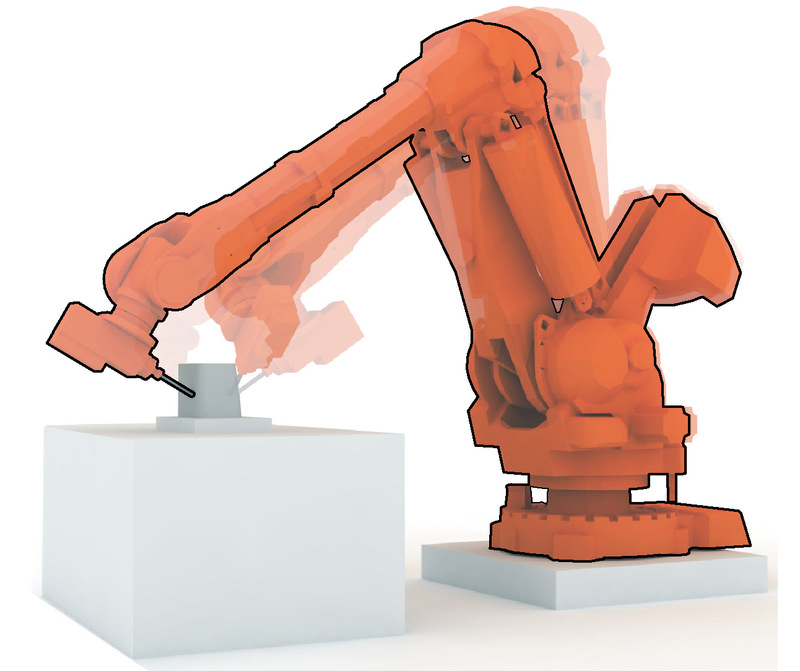 The goal was to combine state of the art robotic technology with traditional masonry techniques to create practicable strategies for 21st century stone carving. Aercon Florida LLC donated several pallets of AAC blocks with Timbur LLC contributing the use of an ABB IRB6400 industrial robot equipped with a 10hp milling head. In parallel with analogue modeling using a hot wire cutter, students worked with Grasshopper and RhinoCAM to generate tool paths and simulations for milling models on the school’s 3-axis machine. The final 11’x5’ assembly was fabricated with the robot and installed at the School of Architecture as part of a seminar created to interrogate the systems developed in the studio and create a full-scale working prototype. Designed in collaboration with Ezra Ardolino and the following team: Jonathan Cortes, Rena Cukurova, Gary Lee, Alexander Morpurgo, Cameron Reid, and Georgia Reyes.